Doodlecraft: Interchangeable Lego Minifig Hairclip! Yes, with Slave 1 in your hair, you will truly be the envy of your friends. Get a barrette. Get a Lego piece...a flat 2 by 1 plate. 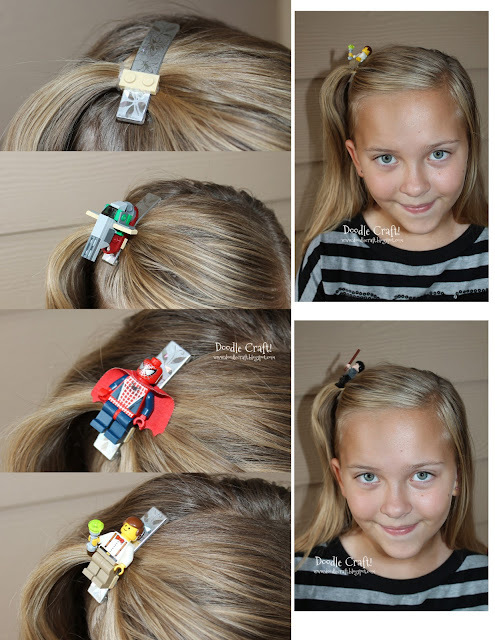 Use E6000 glue to glue the Lego right to the barrette. is there Lego lingo for those things? Okay, I brushed up on my Lego terminology and discovered...they are studs! 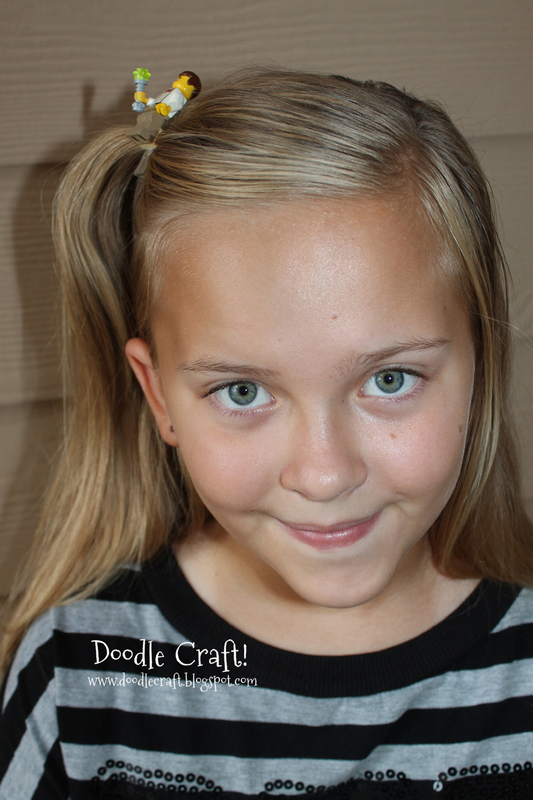 Anything that can fit into a 2 stud slot is good to go for your barrette! Then you can change it out depending on your mood! Or Spiderman...does he actually have a cape? And it will go great with some Lego Earrings! These are so fun! and easy! Nerd/child in me wants one immediately! :) thanks for a tip! these actually remind me of kpk group 2NE1 stylist. when he uses lego and changes everything and make accessoris like rings, belts, chains n stuff. cute!